Spidercam's Sliver ax was designed by automotive engineer and knife enthusiast Paul Alexander to be a slim and refined folder. 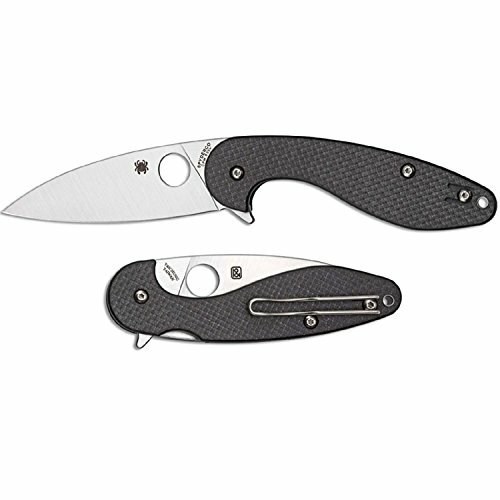 It comes equipped with a full-flat ground CPM-S30V stainless steel blade with a thumb hole and flipper opener to allow easy one-handed blade deployment. The Sliver ax sports a carbon fiber/G-10 laminate handle with nested stainless-steel liners and open-back construction for a lightweight build. The addition of Spidercam's Compression Lock offers superior strength and ease of use. Comes complete with a reversible tip-up wire clip for secure everyday carry.